A man and woman were pronounced dead at the scene last night. TWO PEOPLE HAVE died in a road traffic accident overnight. Gardaí in Mayfield are appealing for witnesses following the fatal road traffic collision in Cork. At approximately 12.30am a man, aged in his 30s and a woman in her 40s, were fatally injured when the car in which they were travelling left the road and struck a ditch at Ballinahina, Whites Cross, Cork. They were pronounced dead at the scene. Their bodies have since been removed to Cork University Hospital where post-mortem examinations will be carried out. 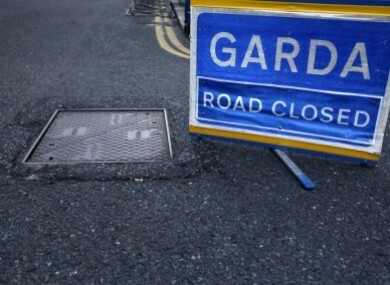 The road remains closed to facilitate Garda Forensic Collision Investigators and local traffic diversions are in place. Anyone with information is asked to contact Mayfield Garda Station on 021- 4558510 or the Garda Confidential Line 1800 666 111. Email “Two people killed in overnight road crash in Cork”. Feedback on “Two people killed in overnight road crash in Cork”.